Black violet color. 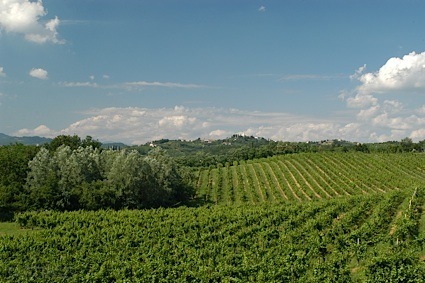 Earthy aromas of cassis, fertile earth, and cured meats with a slightly chewy, crisp, dryish medium body and a tingling, compelling, medium-length granite, ground pepper, and blueberry pancakes finish with crunchy tannins and moderate oak flavor. A nice earthy red that will be at home with a variety of dishes; a solid choice for the table. Bottom Line: A nice earthy red that will be at home with a variety of dishes; a solid choice for the table. 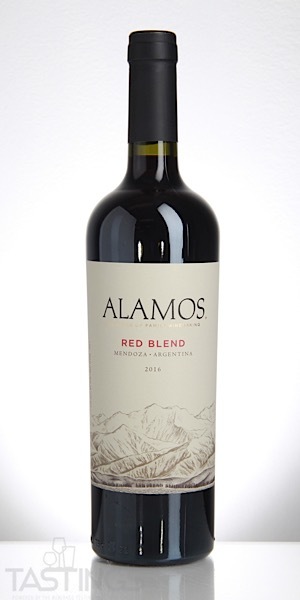 Alamos 2016 Red Blend, Mendoza rating was calculated by tastings.com to be 87 points out of 100 on 9/21/2018. Please note that MSRP may have changed since the date of our review.